A total malware prevention technology keeps your network safe! 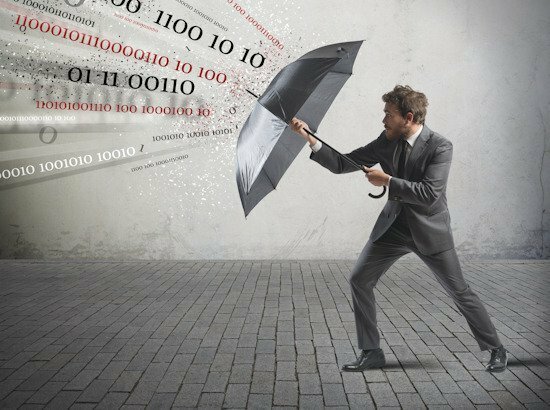 With ODIX, information security managers have the opportunity to add a total malware prevention from both known and unknown attacks. 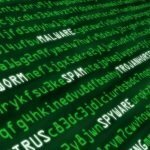 Our TrueCDR™ (Content Disarm & Reconstruction) technology provides malware prevention solutions by sanitizing ALL incoming files. It’s the most advanced way to ensure that all files coming into the corporate network are clean from known and unknown malicious code – malware, APT, zero-day attack, virus, worm etc. 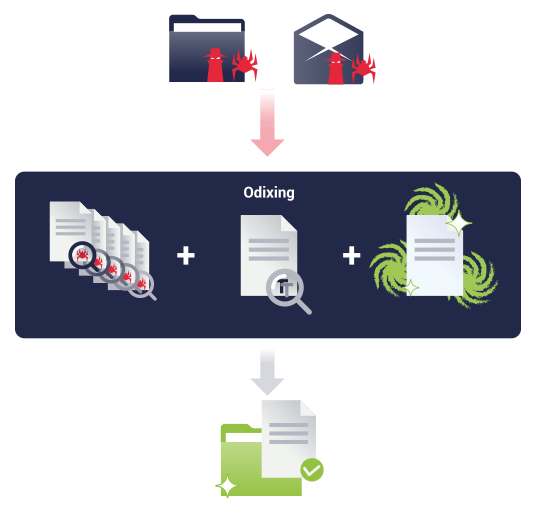 ODI reliably sanitizes every incoming file, in any format, without impacting productivity or workflow. ODI offers several applications based on its advanced CDR technology – on-premise, cloud or hybrid models. 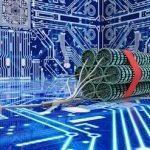 A key point to note is that this technology is fully compliant with the new GDPR regulations, in particular Clause 49 – Deployment of anti-malware tools. Eliminating the Threat of Malware from Removable Media Such As: USD drives, CD, DVD, portable disks etc. Secure and simple way to scan and sanitize files on the move. Works with any network files application. CyberArk Vaults are the most secure way to move files, but after the files securely moved to your vault, are they really ready to enter your network? 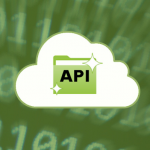 ODI provides application developers with a full CDR (Content Disarm & Reconstruction) engine and API to enable them to develop file sanitizing applications. If a whole new level of malware protection is something your company might value, please contact us or schedule a demo. Do you prefer implementing our technology via your selected system integrator? We will appreciate an introduction. 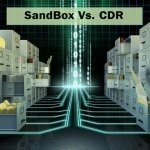 Is Your Sandbox Software Leaking?